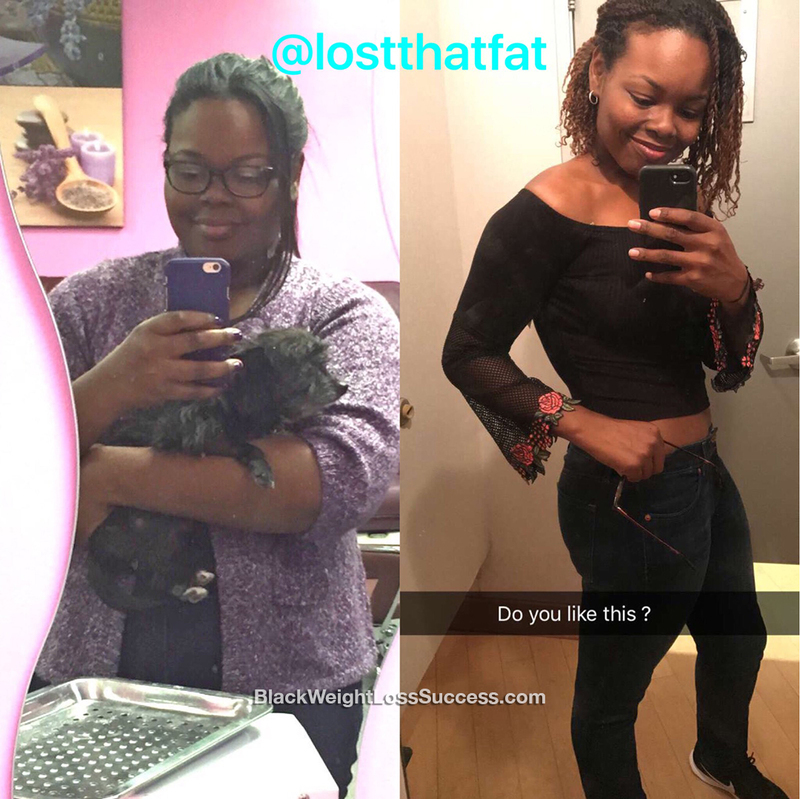 Transformation of the Day: Tasha lost 76 pounds. She started her journey more than 2 years ago, and at the time she never thought she’d be this successful at transforming her lifestyle. Working out daily and using portion control worked for her. that I would succeed at losing over 70 pounds. Now I know that anything is possible. At the beginning of my journey, I weighed 235 pounds and now I weigh 159 pounds. What was your motivation? What kept you going when times got hard? My motivation was my before photos. Thinking about what my health would look like in the future inspired me to keep going when I wanted to quit. I started using portion control with everything I ate and found various healthy alternatives. I focused on eating foods high in protein, like salmon. I began working out everyday and it became a habit. I did both cardio and weight training. The biggest lesson I’ve learned is to create your own workout regimen and find out what works for you. My advice to others is to be consistent and make healthy choices daily to reach your goals. Love it! Encouraging to read about eating habits that don’t involve keto or completely getting rid of carbs. This helped, thanks.